This entry was posted in Breakfast, Dessert, Lunch or Dinner and tagged baked sweet potato fries. Bookmark the permalink. I’m the only in my family who likes sweet potato fries so I don’t make them often, but I ADORE them. I could eat 2lbs worth! Hi Reb! I love your blog and I hope all is going good with your move to Hawaii!? Can’t wait for pictures! 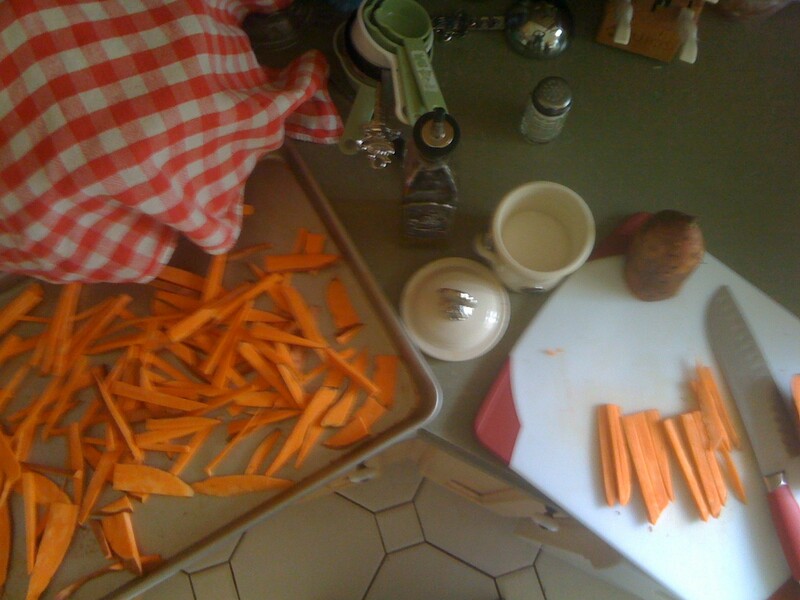 I heart sweet potato fries, but never tried making them at home. Now, I’ll have too! These look delicious!